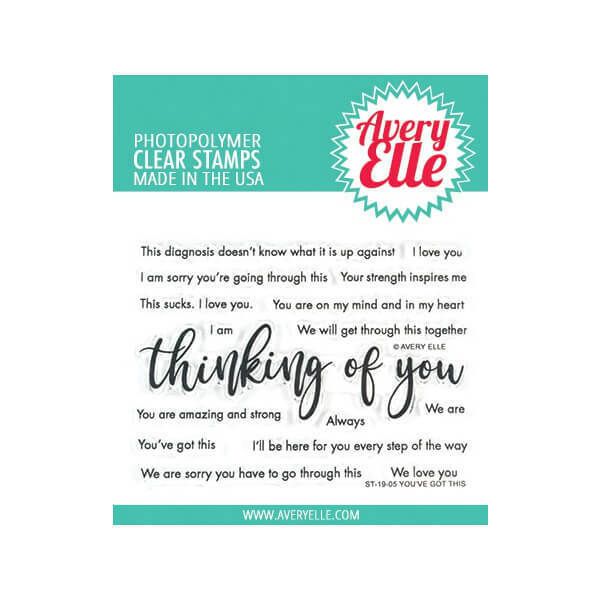 You've Got This stamp set to create the perfect card for encouragement. 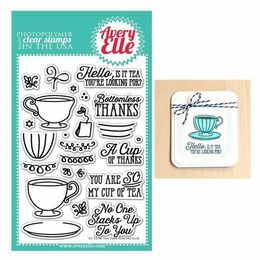 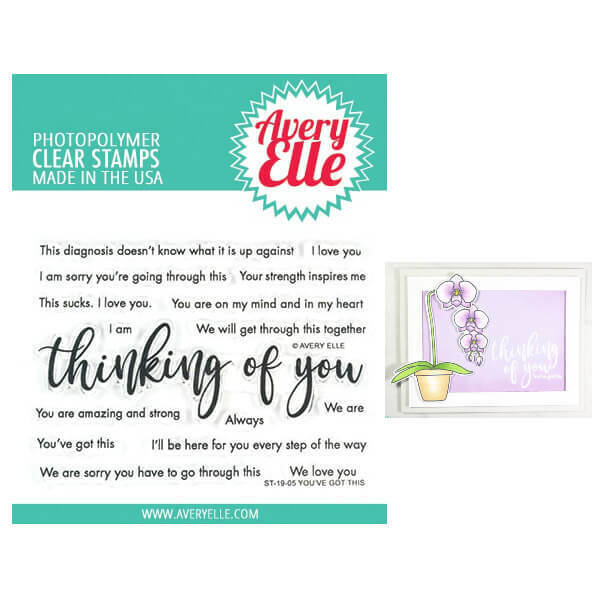 This set includes so many different sentiments to let someone know you are thinking of them. 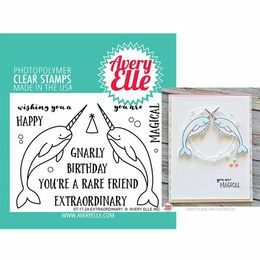 16 total stamps. 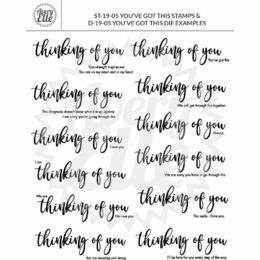 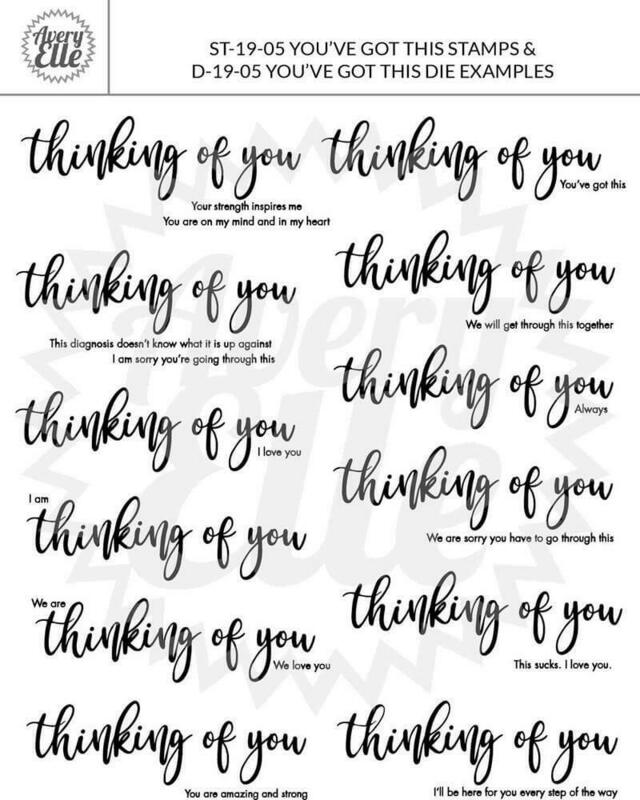 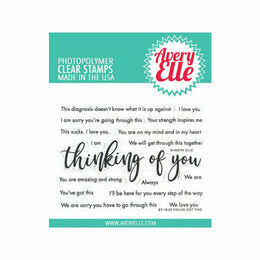 "Thinking of you" sentiment stamp measures: 3 3/4" x 1 1/8"; "I am sorry you're going through this" sentiment stamp measures: 2 1/8" x 1/8"; "I'll be here for you every step of the way" sentiment stamp measures: 2 7/16" x 1/8". 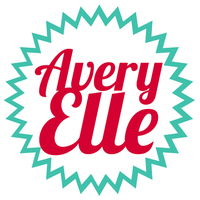 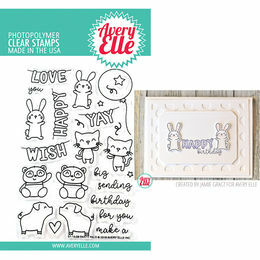 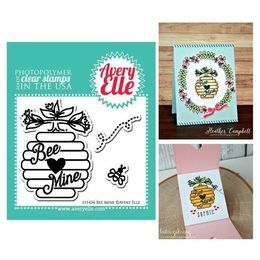 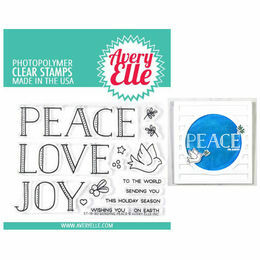 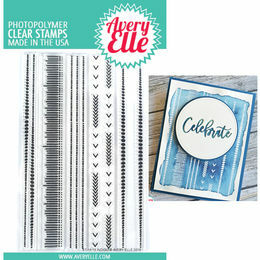 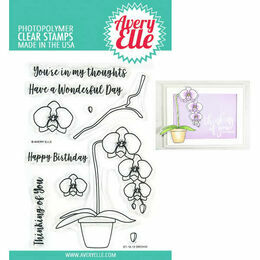 Avery Elle Exclusive clear stamps are proudly made in the USA.